Favorit member of the Mason family? Is Falling Skies coming BACK, PLEASE someone tell me! who's your favourite chacter? give reasons why? Got Fragen 'bout this show? Like, "Is it worth watching?" "How is it any good?" "OKay, let me put it this way. Do Du like TV shows to be about drama, destruction, Aliens, and survival?" 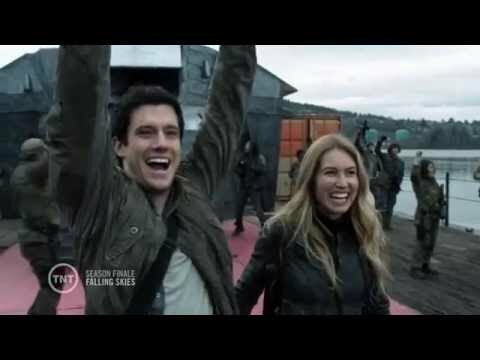 "Then this is the Zeigen for you"
Spoilers for episode #9 of season five of Falling Skies (such as details and promo video) is featured. Quelle - Hollywood Hills. a poll Wurde hinzugefügt: Falling Skies: Favorit insgesamt season?